Slice the cucumber into 1/2-inch thick slices. Spread about 1 tablespoon of mousse onto each cucumber slice. 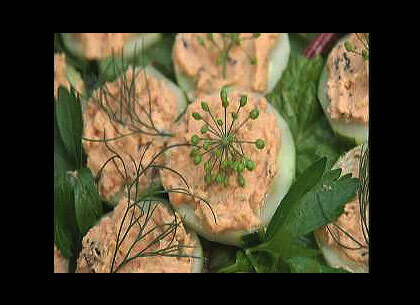 Garnish with dill, place on platter, and keep refrigerated until ready to serve.